Based on the new low-power AMD G-Series APU T40R/T40E with AMD FCH A50M chipset, Axiomtek developed CAPA111 low power graphics-oriented 3.5" embedded board for digital signage, gaming, medical imaging, kiosks/POS, thin clients, and factory automation. The CAPA111 is powered by either a single core AMD G-Series APU T40R at 1.0GHz or the dual core T40E at 1.0 GHz paired with the A50M FCH chipset and one DDR3 1066 memory slot supports up to 4 GB. 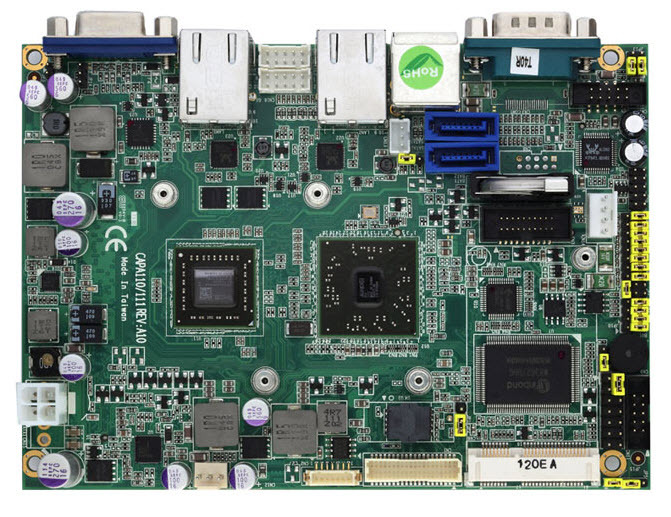 Integrated with Radeon HD 6250 graphics controller with DirectX 11 support, the super compact 3.5" embedded platform delivers unprecedented high definition visual experience and features 18/24-bit LVDS and VGA display dual view compatibility. Moreover, the embedded board only requires +12V DC power input.